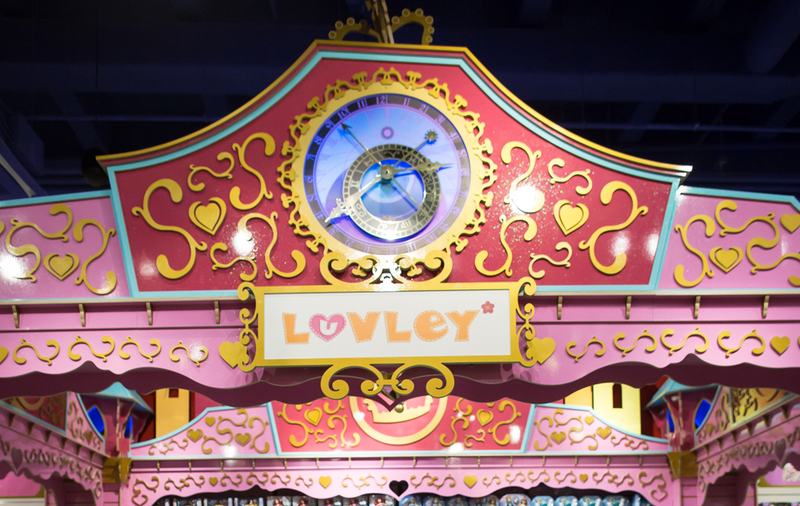 Propability were tasked with the design, development and installation of a castle feature that would occupy 6m x 5m of the store and stand at over 4m - complete with a giant chandelier, a colour changing clock and colour changing turrets. Created in MDF and plywood it was made to look like a slot together plywood toy. The clock face was inspired by the Prague astronomical clock, (Prague Orloj) and continuously spins around in double quick fashion complete with colour changing lights. Hamleys Prague wanted the whole castle to have a peculiar quirkiness about it, hence it’s strange angles. The design made for a challenging build but created a very interesting and visually stunning piece.